Indy 500 Williams 1995. 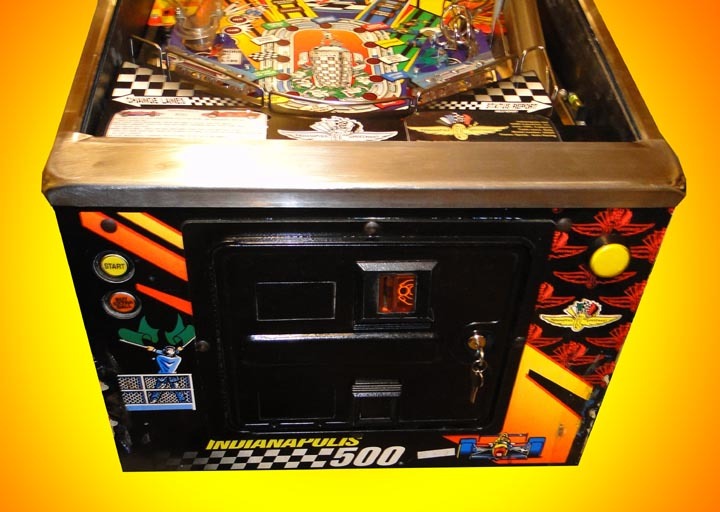 Auto racing, pinball style. Score point, gather laps, and position for finishing number 1. The three voices in the game are commentators Paul Page (longtime "Voice of the '500'"), and 3 time Indy 500 winner Bobby Unser, and the announcer Tom Carnegie, who was a legend at the Indianapolis Motor Speedway for 50 years. 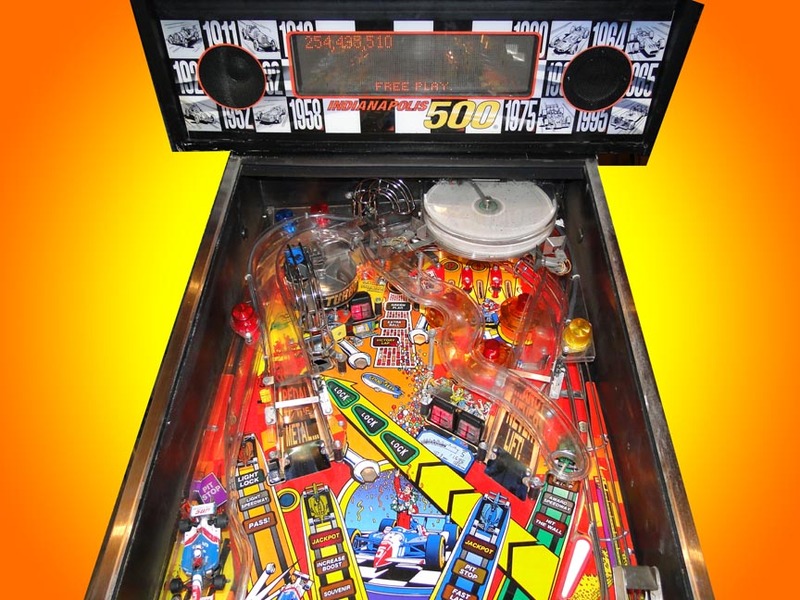 This game has no sink-holes and lots of targets and is one of the first pinball machines to feature light up targets. Such an object is a square plastic target, that is divided into four quadrants. Each quadrant can light up. The targets are completed if they are hit 4 times.